Awana is a weekly club for churched and non-churched children, young and old, big and small. At Halethorpe Community Church, Awana is held on Wednesday evenings from 6:45pm – 8:30pm during the school year. Our Halethorpe Awana leaders and staff work together with you, the parents, to develop spiritually strong children and youth who faithfully follow Jesus Christ. Our programs offer a proven approach for evangelizing children ages Infant through 6th grade in the church and community. Our goal is to lead children to trust Christ for salvation and grow them in enduring faith and service to God. You can find a schedule of our theme nights below. Clubbers earn points for participating in theme nights each week! Favorite theme nights include: Crazy Hair Night, Duct Tape Night, Club Spirit Night, Extreme Game Night, Patriotic Night, and much more! A registration form is available below. Please print it out and return it to an AWANA leader at the Check In Table on a Wednesday Night to get signed up! There is absolutely no cost to get registered for Awana! The only cost is a uniform and handbook that can be purchased which will last the clubber through the Awana Calendar Year! For more information about Awana, please contact our Awana Ministry Director, Steven Price or one of our Awana Assistant Ministry Directors, John Dorapalli or Lisa LeMaire. Are you interested in joining our Awana Team here at Halethorpe! If so, contact Steven Price, our Awana Ministry Director today! A simple background check will be required! Join us for our Annual Awana Grand Prix Spectacular and Family Cookout on Saturday, March 23rd at 9:30am! Check us out on Facebook and give us a "LIKE" to stay updated on any and all upcoming events and information! 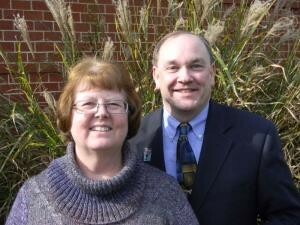 Please pray for our Mid-Atlantic Region Awana Missionaries, Chris & Sandy Mikesh who serve the Central and Eastern Maryland Area. If you would like to consider financially supporting Chris & Sandy Mikesh or would like more information about how you can pray for them and get involved, please contact our Awana Commander Steven Price for more information! 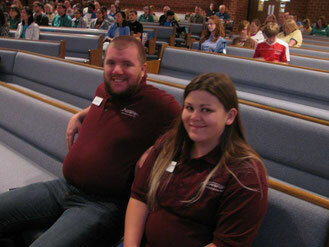 This is our Awana Ministry Director Steven Price and his wife, Cherish. They both serve here at Halethorpe along with the Awana Mid-Atlantic Ministry Team training new leaders and teaching workshops around the year.